Chef Steven Ariel, Chef de Cuisine Bistro Luc, Seattle, taught a Hawaii Culinary Education Foundation class. 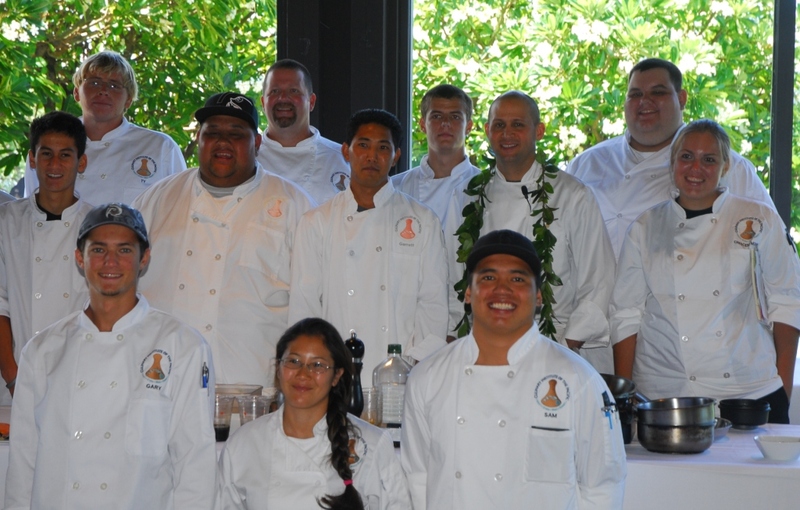 One hundred Hilo and West Hawaii culinary students attended the program sponsored by the Hawaii Culinary Education Foundation. Chef Ariel presented his personal culinary philosophy and shared his career path with the audience. He is a graduate of the West Hawaii Culinary program. 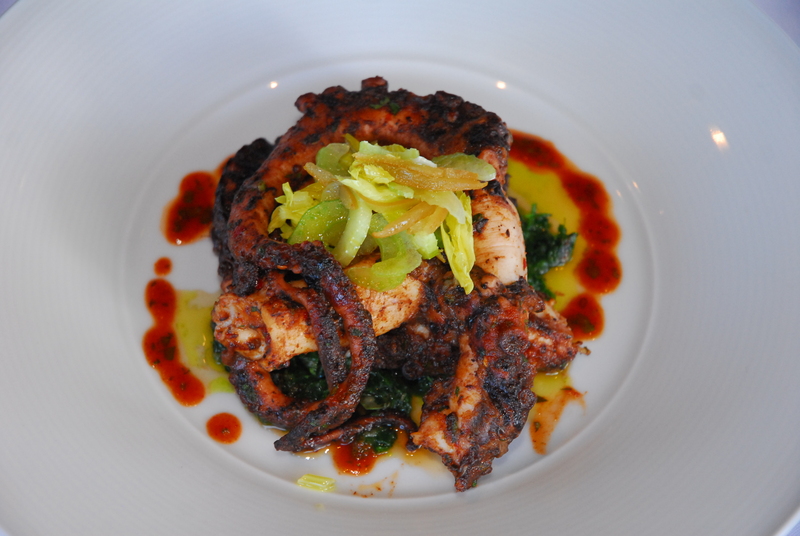 Students sampled Chef Ariel's creations: Papa Pomodoro with Fresh Ricotta, Grilled Octupus with Harissa, Preserved Lemon and Parsley Sauce and Pan Seared Salmon with Porcini Mushrooms, Dried Fig-Red Wine Sauce.